How to join the Dumas Society ? Are you a fan of Alexandre Dumas ? You are welcome to join our Society ! Please click here for further information. Welcome to Alexandre Dumas, Two Centuries of Living Literature, a website devoted to the author of such famous novels as The Three Musketeers and The Count of Monte-Cristo. This site is mostly in French for obvious reasons. We hope, however, to increase gradually, over time, the English content. Meanwhile, you will find here explanations about the main features of the site to help you find your way and find useful information, even to non-fluent French speakers. If you are not familiar with Alexandre Dumas, a good starting point is the chronology found in the Dumas's life section. It gives a broad outline of Dumas' life and works. In the same section, Dumas as described by his and our contemporaries displays texts about Alexandre Dumas by writers such as Victor Hugo, Honoré de Balzac, Robert-Louis Stevenson or Georges Perec. Should you wonder about Alexandre Dumas fils (son) or Victor Hugo's relationship with Dumas, go to the dictionnary of Dumas' circle of friends. 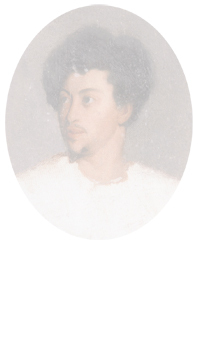 If you are really taken with Alexandre Dumas, visit the Dumas Society section. You will find more about us, an association of Dumas' fans located in Dumas very own Château de Monte-Cristo near Paris. The Society publishes a yearly Cahier (Journal), a newsletter, and organizes conferences and exhibitions. For those involved in research projects, the site gives you a catalogue of the Society's collections of autographs, manuscripts and rare books.